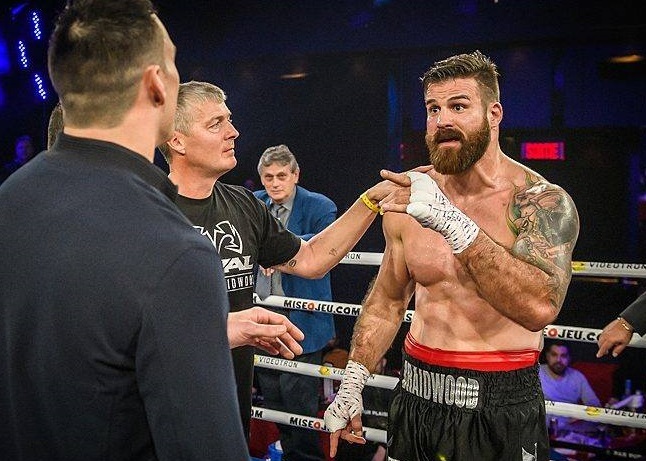 Eye of the Tiger Management’s first foray into staging fight cards at the Montreal Casino produced a slew of explosive first round knockouts, not to mention a pair of gruelling slugfests to bookend a bloody evening of concussive contests. Camille Estephan’s outfit was able to display its embarrassment of riches with an impressively stacked lineup for a single evening of fights, even if the matchmaking, in a few cases, left much to be desired. Custio Clayton and Steven “Bang Bang” Butler produced opposite performances in terms of rounds boxed, with Clayton erasing Hungarian Gabor Kovacs in a mere 28 seconds while Butler exacted revenge on Jamie Herrera by punishing stoppage in the final round of their thrilling contest. Both Clayton and Butler were in scheduled ten rounders, and the matchmaking was telling. Butler showed moxie in victory. For Clayton, it was a 28-second victory that included three consecutive jackhammer straight rights splitting a southpaw guard and a rib-crushing body shot that left Kovacs hanging halfway out of the ring. And while a night’s work where he didn’t absorb a single punch in return shouldn’t be viewed as frustrating, for a 30-year-old welterweight contender desperate to secure a title shot, the inability to find suitable opponents has to be maddening. To put it bluntly, Clayton-Kovacs was an insult to Custio’s talent. Now, this isn’t the fault of Camille Estephan or Clayton’s management team. They have been working hard to secure matches against legitimate tests, only to get repeatedly stonewalled at the negotiating table. What this one round win can do for Clayton though, is serve as a springboard to a return date in late April or early May, perhaps on the deeper undercard of an HBO event featuring Yves Ulysse Jr. The Steven Butler rehabilitation tour continues to progress, as “Bang Bang” erased one of the blemishes on his record, a majority draw against Jaime Herrera back in 2015. 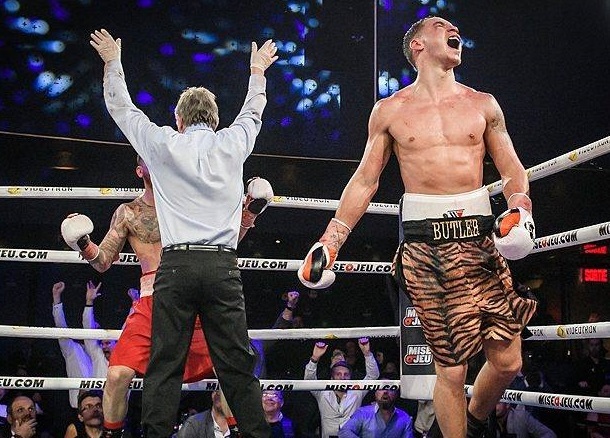 Butler scored a pair of massive knockdowns thanks to picturesque counter right hands, and the precision and power of these single shots reminded fans that Butler has natural gifts that cannot be taught. Indeed, Butler proved to be the superior fighter, which will serve his psyche well as he rebuilds towards another Brandon Cook-level fight. Butler celebrates a cathartic win. What’s still concerning is that Butler can gas, and he certainly had a lull in the middle of the fight which allowed Herrera to work his way back into the contest. He’s also still extremely susceptible to overhand rights and was tagged a bit too often. But ultimately this was ballsy stuff from Butler; he caught a second wind in the final third of the fight, bit down on his gum shield, and imposed his will. Had Butler stopped Herrera in the second round, it would have been more impressive on paper. In being forced to go nearly ten rounds, Butler showed that his maturation and improvement, while not complete, is back on track. 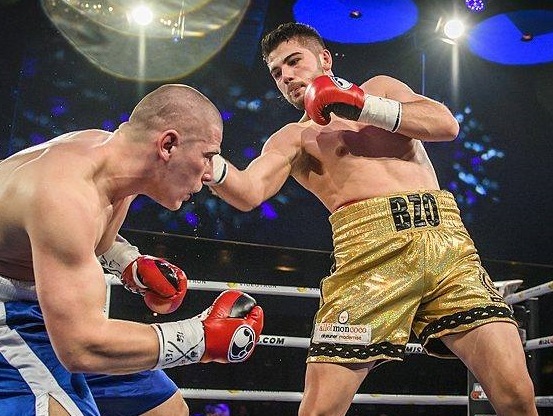 In terms of natural gifts, Montreal fight fans should be giddy at the prospect of what Erik Bazinyan and Batyr Jukembayev can accomplish at world level. Bazinyan, who stopped Ferenc Albert in three rounds after dropping him five times has been lauded for his natural gifts and, at only 22, is ideally positioned for a long run as an elite fighter. What’s still unclear, despite his talent, is how quickly and seriously Bazinyan should be tested. While he oozes talent, he’s also battled some injuries, has undergone a necessary maturation process, and just recently switched promotional outfits. Bazinyan is a bluechip talent. More telling is that Bazinyan has been fighting Ferenc Albert-level opposition since 2016, which is completely appropriate given that he turned pro as a teenager. Much like Steven Butler, the question is how soon to make that Brandon Cook-type jump with “Bzo.” The answer, at this point, is unclear. Frankly, activity and consistency would serve Bazinyan well in 2018. If he can get two more solid wins under his belt, he could be ideally positioned for a significant step-up fight at the end of the year. For now, Eye of the Tiger can hold serve with Bazinyan, build some momentum, and then test him at the elite level when it makes complete sense. Meanwhile, Batyr Jukembayev, despite his mere 12 pro fights, is ready for something truly significant. This is especially true given how Terence Crawford’s welterweight defection blew open the doors at 140. 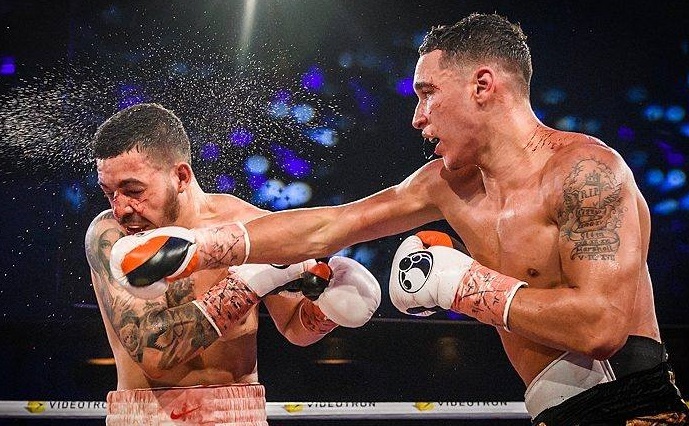 On Saturday, Jukembayev knocked out the respectable Noe Nunez 36 seconds into the opening stanza, buckling the Mexican with his first left cross. From there, a brutal fusillade crumpled the Mexican. Jukembayev is the best prospect in Montreal. Going forward, Jukembayev should be vying for regional titles to secure the world rankings he already deserves. More importantly, with Yves Ulysses Jr. and David Lemieux getting Eye of the Tiger a foot in HBO’s door, Camille Estephan would be wise to give the Peter Nelson and co. the hard sell on this legitimate Kazakh destroyer. By the end of 2018, Jukembayev should be able to crack multiple top-1o rankings. There’s far more to say and digest about Adam Braidwood’s post-fight antics and P.T. Barnum-esque self-promotion than his one round icing of Jesus Manuel Paez. Braidwood did what was expected, and needed, against a completely overmatched foe, displaying markedly improved boxing, control, and patience since Quebec fight fans first caught a memorable glimpse of him on the Lucian Bute-Eleider Alvarez undercard in Quebec City. After his victory, Braidwood faced off with Eye of the Tiger’s prized heavyweight, former Olympian Simon Kean. Kean and Braidwood are supposed to finally settle their genuinely acrimonious score this summer in Montreal in what promises to be a rousing donnybrook. And give Braidwood credit for his often hilarious harassing of Kean. As Braidwood levelled verbal taunts and pranced about the ring like a WWE madman, the Quebecois fans ate it up, while Kean, who did fire back admirably in his second language, placed second in the charisma contest. Bring on the fight. Canada deserves it. Braidwood confronts Kean after his KO win. The first three fights of the card featured fledgling prospects in showcase bouts, and each had varying degrees of success. What this early portion of the card proved, if anything, is that Eye of the Tiger Management’s deepening stable is quickly turning into an embarrassment of riches, to the point where Montreal’s premier boxing outfit might have to make tough choices about whose development to prioritize. Ablaikhan Khussainov has hit a bit of a snag. 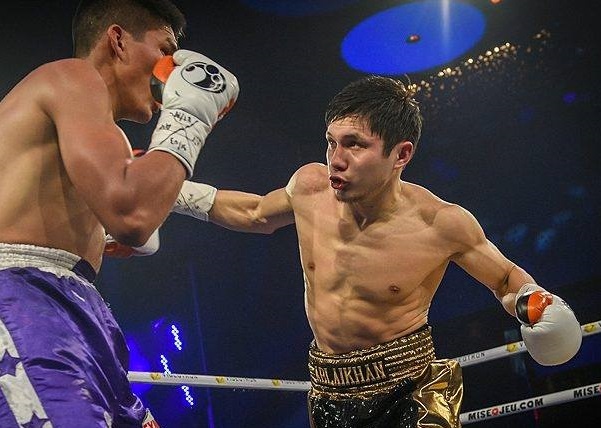 The compact, powerful lightweight debuted in Montreal around the same time as countryman Batyr Jukembayev, but Khussainov has not developed at the same meteoric pace. While this need not be a straight-up indictment of Khussainov, his last two fights have left some cause for concern. Coming off a majority decision win, he narrowly outpointed Mexican Gilberto Meza via scores of 77-74 (twice) and 76-75. 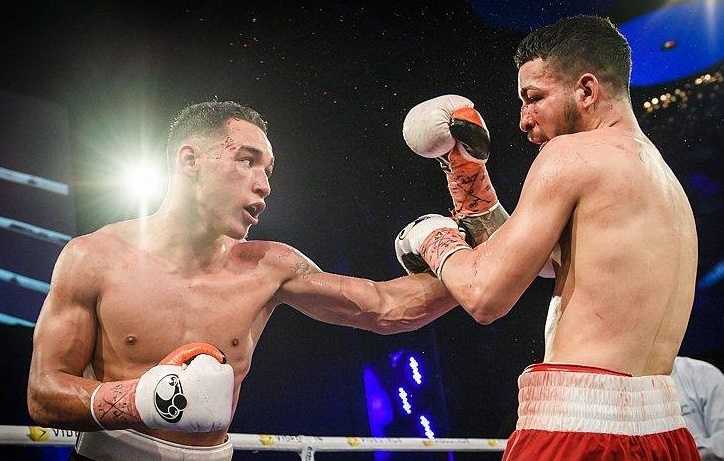 Of legitimate concern was the body shot knockdown that temporarily evaporated Khussainov’s legs in the penultimate round; moreover, the Kazakh started lethargically and struggled to cope with his longer foe. That said, Khussainov rallied admirably from the knockdown to win the final round, and he dominated the middle stanzas with a balanced attack of hooks and brutal body punching. Ultimately, at 26, Khussainov isn’t quite as polished as some of his Kazakh countrymen, but he knows how to entertain. It wasn’t smooth sailing for Khussainov. The other two novice Eye of the Tiger pros provided a fascinating contrast in terms of how Camille Estephan is building his stable. Raphael Courchesne scored a stoppage after his hapless opponent, Luis Acuna Rojas, failed to answer the bell for round two. Courchesne was assertive and committed to his punches, but he winged wild combinations when he had Rojas hurt and largely smothered his own work. At only 19, Courchesne needs to be brought along at a snail’s pace, which is perfectly fine. One need not have the same muted enthusiasm about Russian import Artur Ziyatdinov, a 21-year-old wrecking ball with an eerily calm in-ring demeanour. Ziyatdinov annihilated Markhaile Wedderburn, a veteran of over 25 MMA fights. A genuine baby-faced assassin, Ziyatdinov switches stances with purpose and has legitimate power. He also played to the crowd by coming out in a Habs jersey and rocking an authentic Ushanka hat; quite the study in contrast. Simply put, Ziyatdinov, unlike Courchesne, can be fast-tracked. It’s abundantly clear that Eye of the Tiger Management, at least for now, rules Montreal’s boxing roost. They have the deepest stable of talent and a few years from now, if certain key fighters pan out, they’ll be brokering deals for some of the biggest championship fights in boxing. What Saturday night also showed, however, is that they’re still in the incubation phase. Cards like this one, featuring mismatches meant solely to showcase prospects, can be expected in abundance for the near future. But Montreal fight fans need not despair about that. 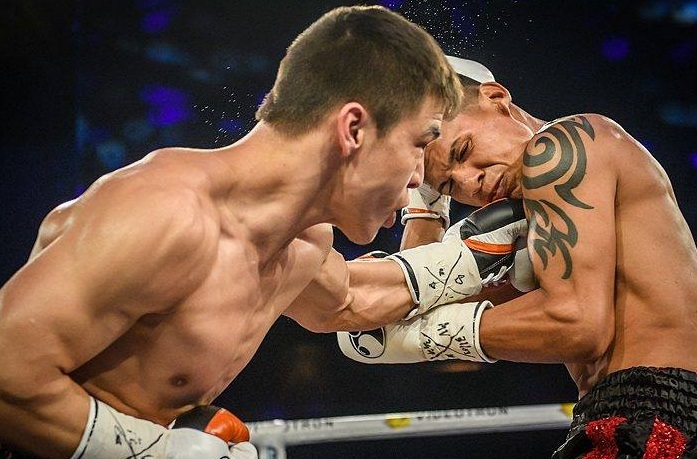 The likes of Batyr Jukembayev and Custio Clayton are ready to assert themselves as elite contenders, with the other members of Montreal’s “Tiger’s Den” salivating at their impending chances to shine.